Nov 2010 – 49 photos of water, sanitation and hygiene in Zambian schools. If you have comments or questions, contact Jay Graham. 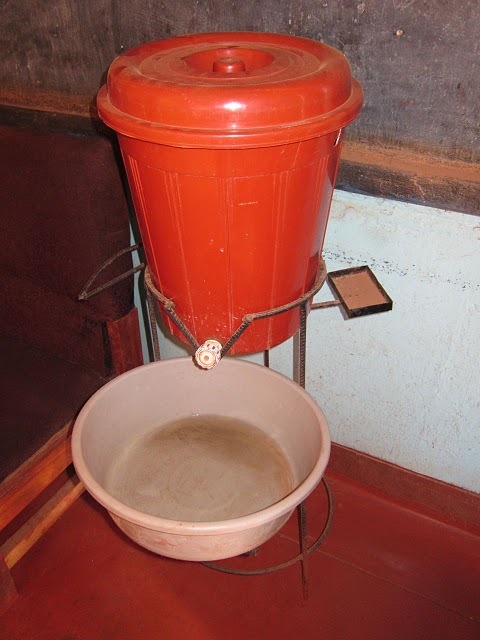 Commonly used handwashing system at schools. The only complaint of this system is that it is occasionally stolen from schools. This entry was posted in Africa, Hygiene Promotion, Multimedia, Sanitary Facilities, Sanitation and Health and tagged changing behaviour, Jay Graham, school sanitation, Zambia. Bookmark the permalink.